The lead problem that is found in the United States' water supply is not just in Flint, Michigan. Tests being done on drinking water in towns across the country are coming back with results of high lead levels in their water as well. What does this mean for US citizens, and how can it be fixed? In 2001, Washington DC changed how the area disinfects drinking water. As a result, thousands of homes had a spike of as much as 20 times the federally-approved amount of lead in their drinking water. The staggering part is that the residents of this lead-contaminated drinking water did not find out about the problem for three years. Another case of high lead in residential drinking water was in Sebring, Ohio. A lab test found that lead levels rose in the water after a chemical had stopped being added to the water that helped stop the lead pipes from corroding. It was five months before the city told everyone not to drink the water and shut down taps and fountains in schools. The Flint Michigan case that brought this kind of problem to public knowledge had as many as 8,000 children under the age of 6 being exposed to unsafe levels of lead. This happened due to a budget-cutting decision to switch the city’s drinking water sources, and may be the most serious contamination threat in the country so far. But as the cases above show, it is not the only one. An unfortunate fact is that even after city governments learn about high lead levels, they seem to drag their feet about telling the public about the problem. The bad publicity that follows a lead contamination isn’t fun for the government involved, but it’s even worse when people learn about the delayed information. 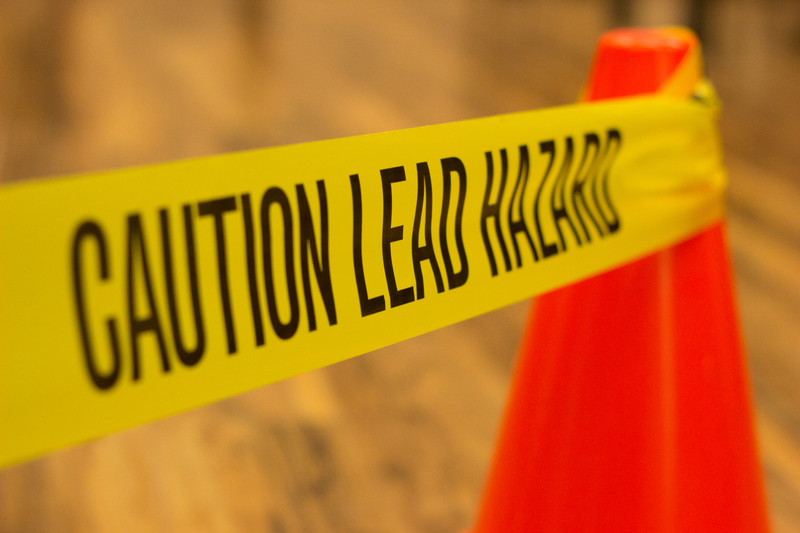 Lead is very dangerous to ingest over long periods of time, so getting the information quickly is crucial. Scientists as well as federal officials agree that most of the 53,000 community water systems in the United States provide safe drinking water, but it is hard to believe when you look at the stories above. They show that there are holes in the system of rules and procedures that are intended to keep water lead-free and safe from other poisonous substances. The EPA (Environmental Protection Agency) says that the streams tapped by water utilities that serve a third of the US population are not yet covered by clean water laws that help limit the levels of pollutants. Even the most purified water can travel through homes and pipes that are in disrepair, which potentially opens the water up to all kinds of disease and pollutants. Congress did ban the use of lead water pipes 30 years ago, but between 3 and 10 million still remain in old buildings. These leave the water open to being contaminated by something as simple as a movement during repairs or a change in the water chemistry. The fact that there are still so many old lead pipes being used in many homes across the US shows that there is still much work to be done on infrastructure. The government needs to keep the nation’s drinking water safe both at the treatment level and while it travels into homes. The biggest problem facing the EPA in fixing this problem is the potential for the water to be contaminated with substances that scientists haven’t even studied yet. How can they regulate something they know nothing about yet? The EPA has compiled a list of 100 potentially risky chemicals that can be found in public water systems but are not yet being regulated. It has also required water systems tests for another 80 contaminants to see whether those merit any regulations. There is just not enough research done yet to tell the officials what they need to test for and regulate. And it is not always within the water treatment systems that these contaminant arise. Many can come from the water supply that we the get the water from, such as lakes to rivers, and many of these are terribly polluted. There is so much to account for as the water comes into the treatment facility and then flows into our homes and businesses. There has been legislation brought to congress to improve the Clean Water Act, but both houses blocked the changes. The Supreme Court questioned that decision in both 2001 and 2006. With all the back and forth over clean water, it makes you question just who does make these regulations, and whether they have the public’s best interests in mind. In all, there is not near enough being done to ensure that the nation has clean drinking water. With lead levels on the rise across the country, governments are testing the water more regularly and can now be more vigilant in making sure the water stays clean and safe to drink. However, you may want to take matters into your own hands for your family. If you are worried about contaminants such as lead in your drinking water, you should install a home filtration system. The EPA has a detailed document that lists which types of contaminants are removed by which types of filter. For lead levels, your best bet is distillation, reverse osmosis, or carbon filters. If you want more information about filtering certain pollutants, call Advanced Water Solutions today! You can also check out our other blogs here for more water information.